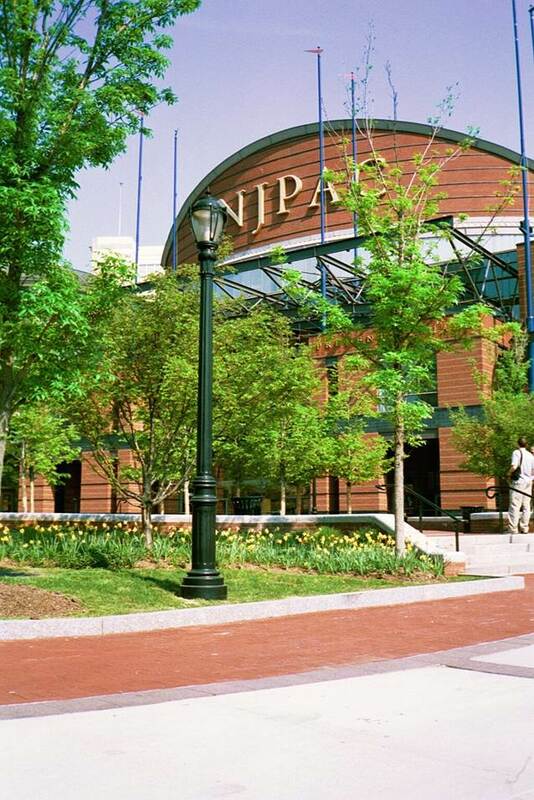 When New Jersey’s then-governor Thomas Kean noted that the state deserved its own world class performing arts center, it was decided that there was no better place for a Jersey arts center to take root than in downtown Newark, with a building that would not only host some of the world’s greatest artists but also act as a catalyst for revitalizing the state’s largest city. Working with architect Barton Meyers, PS&S provided site/civil and geotechnical engineering services, environmental permitting services and surveying services for this $200 million performing arts center situated on a 12-acre site. Phase One of the master plan for the new center included a 2,700-seat multipurpose hall, a 500-seat studio theater, a 200-seat cafe and 100-seat restaurant, as well as a public park/plaza. Also included in this phase was the construction of an 1,100 car parking area, in compliance with ADA rules and regulations, to serve the cultural buildings. The challenges of the project involved relocation of a decades-old 81-inch brick combined sewer line; relocation of several water mains in the immediate vicinity of a 42-inch high-pressure gas main; and design of several new utility services through areas of unconfirmed, existing utilities services. PS&S also addressed traffic maintenance issues with the City of Newark and secured an NJDOT Highway Access Permit for utilities work associated with this project. PS&S helped re-align two city streets and subdivided the tract into three distinct parcels: one for the main site with surface parking and two parcels to serve as “interim” parking lots until the second phase of the development was initiated. PS&S also worked together with the project archaeologists to relocate human remains when a previously unidentified former cemetery was discovered on the project site during construction.